As is known to all that January 18th is Winnie The Pool Day, some people may wonder why January 18th is Winnie The Pooh Day? To mark the special day for the world’s most famous bear, we have some cool facts about him and his friends. Why January 18th is Winnie The Pooh Day? Because it’s the birthday of A.A. Milne, the creator of the bear and his story. Alan Alexander Milne thought his name was too long. So, he used A.A. Milne as his writer’s name. He was born on January 18, 1882. Before becoming known as the author of Winnie The Pooh, Milne worked as a playwright. When his son Christopher Robin was born in 1920, he starter writing stories and poems he thought Christopher could like. After a few shorter books, in 1926 he wrote Winnie-The-Pooh. Two years later he followed it with “The House at Pooh Corner”. As you well know, the story is based on Christopher Robin’s teddy bear and stuffed animals. The names of the characters though come from different places. 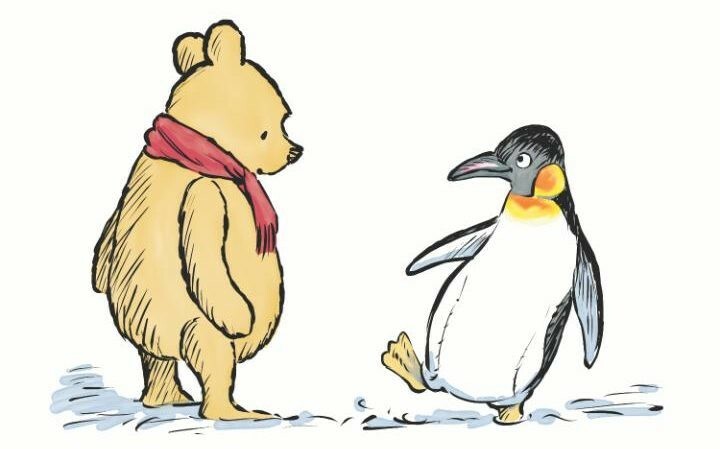 Winnie is named after a female black bear at the London Zoo and Pooh is added when they loved a swan they saw during a holiday. Pooh’s house in the Hundred-Acre Wood was based on Ashdown Forest in East Sussex, south of London, Chron reports. Disney bought the rights in 1961. The company made a few changes. Originally the bear was called Winnie-the-Pooh. Disney dropped the hyphens and changed his appearance a bit. Then they started a series of TV shows, movies, books and countless of toys and stuffed animals. Winnie the Pooh and his friends now have a star on the Hollywood Walk of Fame.